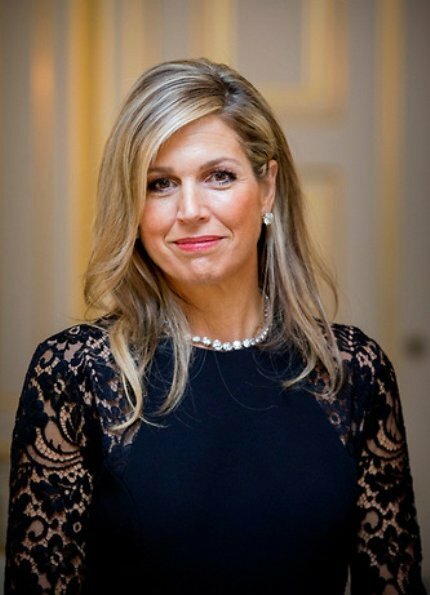 In the evening of December 21, Thursday, King Willem-Alexander and Queen Máxima gave a dinner at Noordeinde Palace in honour of António Guterres, United Nations Secretary-general who is making a 2 day working visit to the Netherlands. Secretary-general Guterres is currently in the Netherlands to attend closing ceremony of The International Criminal Tribunal for the former Yugoslavia (ICTY). good gawd, a fashion nightmare. Totally agree with you. Upper part is so promising and then it turns to be jumpsuit. And she is wearing that beautiful diamond riviere and earrings with jumpsuit. Even designer Elie Saab does not save this one. I find this jumpsuit adorable, but not flattering for her figure, also the voluminous hair and jewels make it too elaborate, it would have looked so much better with a polished updo or pony tail, small earrings and fefinitely no necklace. Fabulous. She still needs her hair trimming but it's better than usual. El mono es bonito, pero no le sienta bien, le hace un vientre prominente. Tal vez sea el cinturón. El pelo postizo debe servir para elaborar un recogido, no para dejarlo salvaje porque se nota mucho. That was indeed unfortunate. This jumpsuit is not a good choice, neither for her body shape nor for her role. It is also way too much black to be becoming. And I agree with those saying that this is not the way to style it. The Queen looks very smart and I really love this look on her. I’m with Anna-Marie and Monty. She looks beautiful and the diamonds are the perfect sparkle to top the jumpsuit. 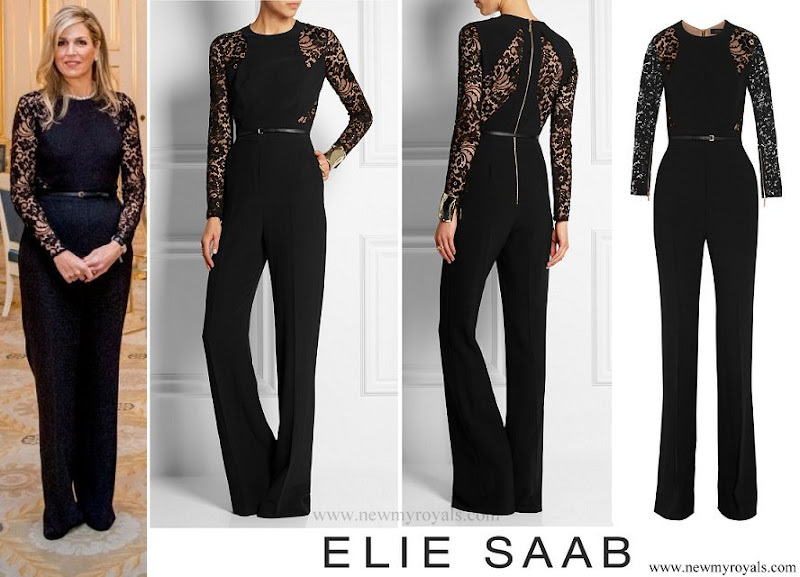 I'm not a fan of jumpsuits, but I do think she looks nice.If I owned that diamond jewellery I would wear it too! My only criticism is that she needs a new hairdresser to cut those split ends! Not a fan of jumpsuits either but agree that this looks good on Maxima--if only the hair was fixed! Not a fan of jumpsuits either but think this looks good on Maxima---if only she would fix the hair!